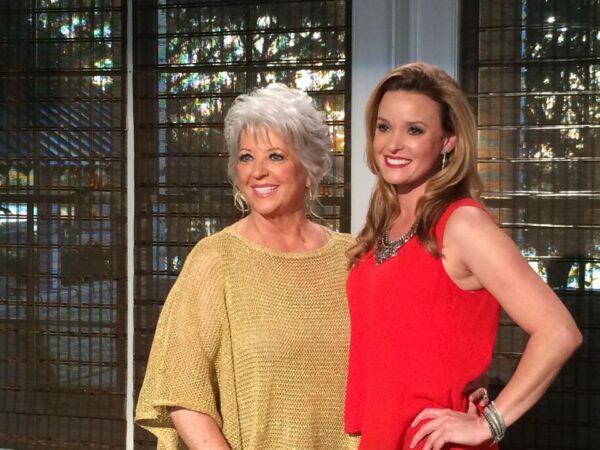 Meghan Shanley was super excited to be invited down to Savannah recently to sing on the Paula Deen Show. As many of you know, Paula has a brand new network, which includes a show called “Paula’s Low Country Lounge” where she features entertainers of all sorts. Meghan was honored to sing at Paula’s wedding a couple years ago and so they asked her to come perform on her new show! Meghan had a blast to hang with Paula for the day, and of course GREAT food was had by all 🙂 Stay tuned for the air date and time!